The Elfin 1D is an affordable solution to handle coding that do not require external database support and LAN connectivity. 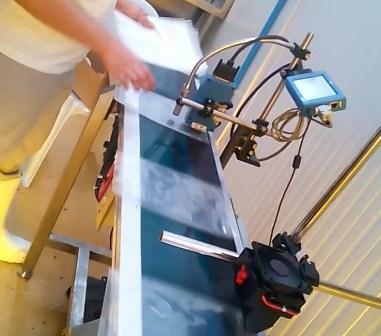 The single print head inkjet coder has a separate 5 inch touch screen LCD controller for maximum flexibility in installation and operation. 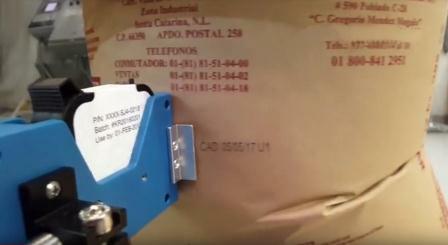 Barcodes UPCA, UPCE, EAN13, EAN8, INT25, CODE39, CODE128, ENA128, PDF417, DATAMATRIX and QR. Additional Barcodes may be uploaded by the user. Counters Flexible setting for serial number, Lot-Box code counters. Print Speed Print speed can be set, auto-measuring or using external synchronizer. Multi-Management Multi-level password protection (Operator, Technician and Administrator). Mounting Standard side, downside and anti-shock printing bracket. Power Supply 12V/3A, 36W (Dedicated AC adaptor). Printing Speed 0-60m/min (300 DPI). 2) DB15: For external devices like photocell, synchronizer or alarm kit connection. 2) Display using new touch interface.